I’ve written a fair bit of demos for Angular 2.x/4.x using Plunker. Plunker provides a pretty convenient way to demo Angular concepts, but the fact that the code is rendered in the browser doesn’t make it overly useful for building redistributable, or production, applications. Since many people have asked me how to take some of my demos from Plunker to a Visual Studio project, that’s what I decided to do. In Part 2 of my series on creating Angular templates for Visual Studio 2017, I made a relatively serviceable template for my latest Angular test. But, I knew it could improved. After my last foray into finding/creating a decent Angular VS2017 template, I decided to go back to a simpler approach and update the previous template I made for Angular 2.x. The latest tooling in Visual Studio 2017 for .NET Core is pretty good. However, it seemed like built-in templates are a bit lacking. Fortunately, the dotnet sdk, and subsequently the CLI, have libraries available for various Single Page Application framework quick starts. A fellow developer asked me how filter Pipes could be used for filtering based on checkboxes. Using the existing code samples I’ve created, I endeavored to put together a little demo of how this can be achieved. Continuing with more small features for my custom table component, I wanted to utilize what I implemented for multiple key filter with pipes for generic filtering. While implementing this, I learned more about observables, events, and sharing data across components. In one of my previous posts, I touched on how to build a filtered list using Angular pipes. As I’m adding more features to the table component that I’m working, I spent a little time modifying the pipe to be able to performing combinatory filtering. One of the features that I had not implemented in my newer Angular component is sorting. Today I decided to go ahead and tackle this feature. 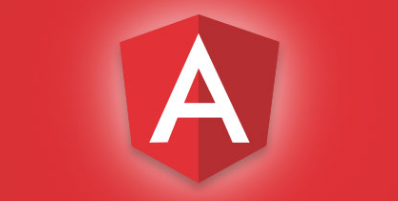 Since the latest version of Angular is out, I’ve decided to simply refer to it as Angular. AngularJS will be used to refer to the older v1.x.